Each week, we ask five of our sportswriters five questions about Ohio athletics. Their answers may surprise you. This week, we talked to sports editor Alex Hider, contributor Danny Medlock, assistant sports editor Katie Hendershot, men’s basketball reporter Jack Zink and women’s basketball reporter DuShaun Headd. Will you even bother watching the next football game? Alex Hider: I probably won’t be keeping up with the game, but that’s only because I plan on spending “Black Friday” in a food coma. But let’s get real: This team has given up. If they don’t want to play, why should I want to watch? Katie Hendershot: I mean, realistically probably not. It’s just painful to watch anymore and being over Thanksgiving break, I probably will be Christmas shopping or something. Jack Zink: Considering that we have gotten blown out each of the past three weeks, plus now that basketball games are on every night, the odds are not high on me for tuning in. DuShaun Headd: Do kids ever let the rabbit have any Trix? Volleyball begins their trek for a MAC Championship this weekend. Will they capture the tournament crown? Hider: I don’t think there’s any way Ohio loses in this tournament. Not only have the Bobcats been in a class of their own this season, they’re playing their best volleyball of the season. They haven’t dropped a game in almost two weeks. TWO WEEKS. In that time period, the football team gave up 93 points. Medlock: My sources tell me that the Volleyball team has a steak dinner booked for Sunday night. Which means they need to be playing till at least Sunday to get said dinner. Speaking from experience, nothing motivates me quite like a steak. Ohio leaves Geneva with the hardware. Hendershot: I really think they will. They only lost two games in the MAC this season. They’ve defeated plenty of tough opponents this year so I think they’ve got what it takes. 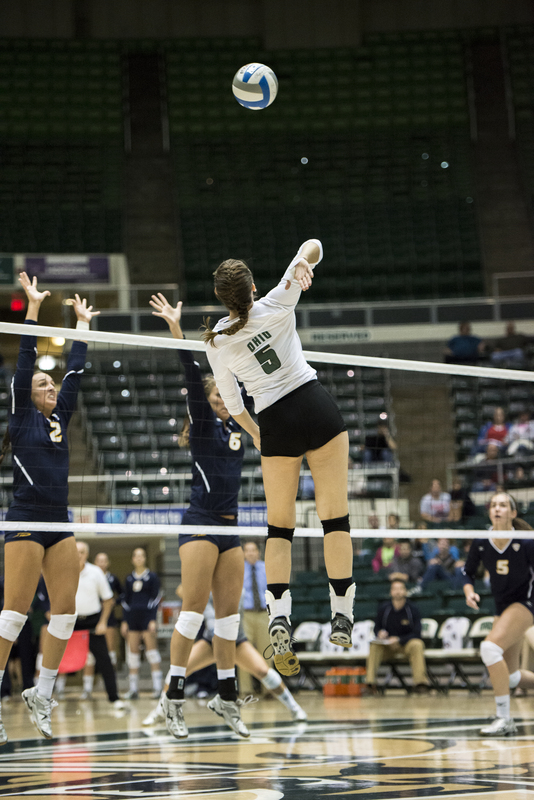 Headd: Ohio is the top seed, boasts a 14-2 conference record, and leads the MAC in hitting percentage. The come in at No. 37 on NCAA’s women volleyball rankings, while the next MAC team is ranked almost 30 spots lower (Ball St at No. 63). You have to like their chances. If I can look into my crystal ball for a minute; I do see the Bobcats coming back to Athens when it’s all said and done as champions. Thoughts on the women’s basketball team’s 90-33 loss to Louisville? Hider: While I didn’t expect the ‘Cats to go into Louisville and upset last season’s National Champion runner-ups, I expected to see a little more fight. Right from the tip, Ohio had conceded the game to Louisville. Why even show up if you’re just going to roll over? Medlock: Louisville is hiring coaches better than everyone else in college sports. Rick Pitino and Charlie Strong were incredible hires, but arguably no coach has been more successful than women’s basketball coach Jeff Walz. In his six seasons, Louisville has reached at least the sweet sixteen each time and has been the runner-up in two national championships. Ohio didn’t stand a chance, it’ll be interesting to see how they rebound. Hendershot: The women’s basketball game last night was pretty rough, but you can’t forget that they were playing one of the top teams in the country. So yes, it was really bad, but this is a team that’s young and just starting to come together. Zink: For the first two games, they looked like they would competitive this year. As for last night, well, that was what we like to call an “outlier.” Louisville is the third-ranked team in the country and deservingly so, but Ohio will not face another team like that for the rest of the year. I think the first two games or more of what the women’s season will look like. Headd: The word ugly comes to mind. Louisville teams must lick their chops when they see Ohio on the schedule. Between last night and Ohio’s football team season opener against Louisville, I’m not sure what massacre was worse. Stevie Taylor, pictured here Sunday against Valparaiso, had the go-ahead bucket in Ohio’s win over Morgan State. (Carl Fonticella). 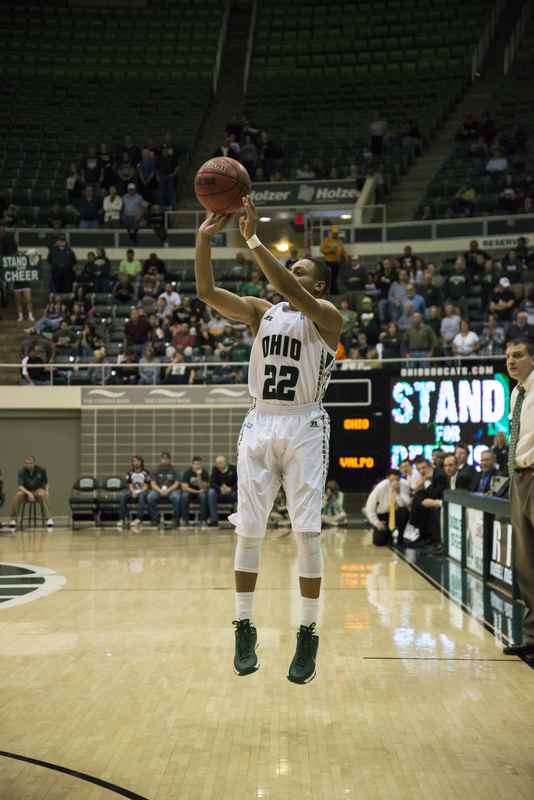 Stevie Taylor willed Ohio to victory Wednesday. How has he done filling in for D.J. Cooper? Hider: Taylor definitely matured a bit in the offseason. He’s always been a spark for the Bobcats when the team slumps, but this year he’s doing it in a completely different way. Last year, he inspired his team through goofy antics (see: three goggles). This year, he’s doing it through his play. He still needs to work on sharing the ball (only one assist in 30 minutes against Ohio State), but I’m excited to see how he continues to mature as the season progresses. Medlock: Phenomenally. I’m thrilled. D.J. who? Hendershot: I think he’s done pretty well this season, but I think we can and will still see a lot of improvements for Stevie Taylor that will make him more worthy of comparison to D.J. Cooper. Zink: There is nobody that can replace what D.J. Cooper accomplished here, but that does not mean they leave a vacant spot on the court for him. One thing I like about Stevie, is the swagger he has on the court. He is not afraid of anyone (out-dueling All-American Aaron Craft) or any moment (game-winning “And 1” against Morgan State). With that being said, he has brought something different to the table than Cooper, but has not disappointed any Bobcat fan so far this season. Headd: Stevie Taylor is doing a serviceable job filling in for D.J. Cooper. It is unfair for anyone to have to be compared to one of the school’s best basketball players, but unfortunately such is the type of society we live in. In an expanded role, Taylor is averaging 11.0 points, 3.5 assists, and 1.3 rebounds, all well short of Cooper’s statistics. The season is still early, and Taylor has a chance to inch closer to Cooper, but in my opinion will never be able to replace him. Hider: Everything, which is why I’m just as excited for the day after Thanksgiving. 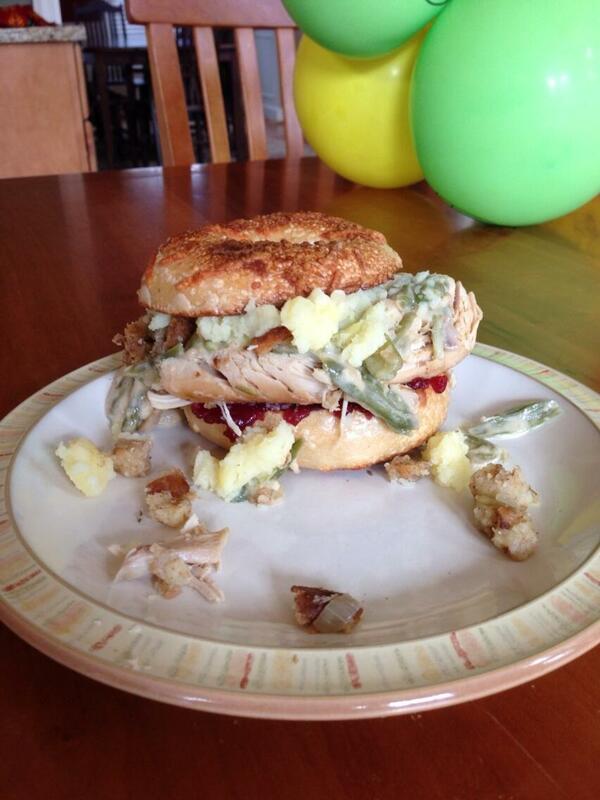 Once a year, on “Black Friday,” I make the sandwich of all sandwiches: The Thanksgiving Leftover-which. Turkey. Cranberry sauce. Stuffing. Green bean casserole. Mashed potatoes. Top all of that with a dab of gravy, and it’s deja vu all over again. Medlock: French Fries and Oreos, Deeds. Zink: There’s special jello that my great-grandma used to make, where she would add apple sauce to the jello. My mom starting making it after she passed and it is by far one of the greatest foods I’ve ever had. I know it may sound disgusting, but trust me, it is fantastic. Headd: Such a tough decision, but if I must choose, I would have to go with cranberry sauce.